With a little more than three weeks left until Apple’s supposed unveiling on September 7, various iPhone 7 dummies have been cropping up everywhere. Judging by the comments, many of you are excited about a rumored Space Black (or Deep Blue?) 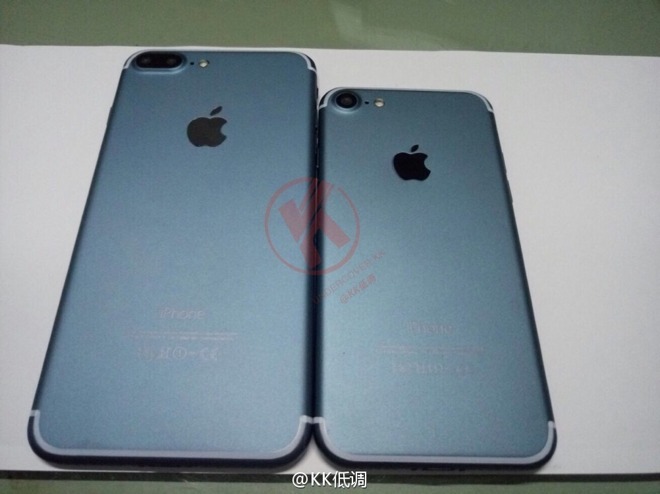 colorway replacing the Space Gray finish in the iPhone 7 lineup. 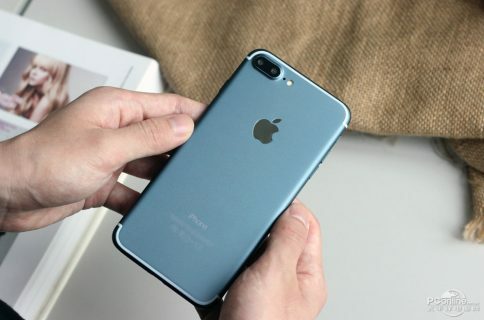 A fresh batch of images posted yesterday to Chinese microblogging service Weibo, republished by AppleInsider, showcase an alleged 4.7-inch iPhone 7 model in Space Black, as well as two 5.5-inch models with and without a magnetic Smart Connector on their backside. 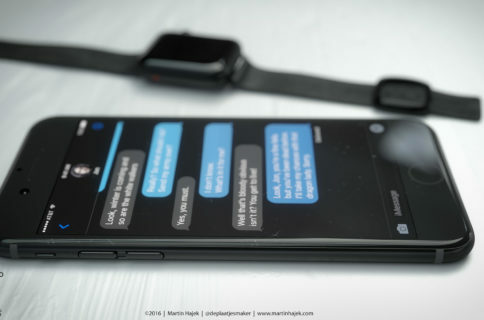 “Interestingly, one image shows an ‘iPhone 7’ beside a presumed larger ‘Plus’ model in which the 5.5-inch handset does not feature a Smart Connector on the back,” writes AppleInsider. 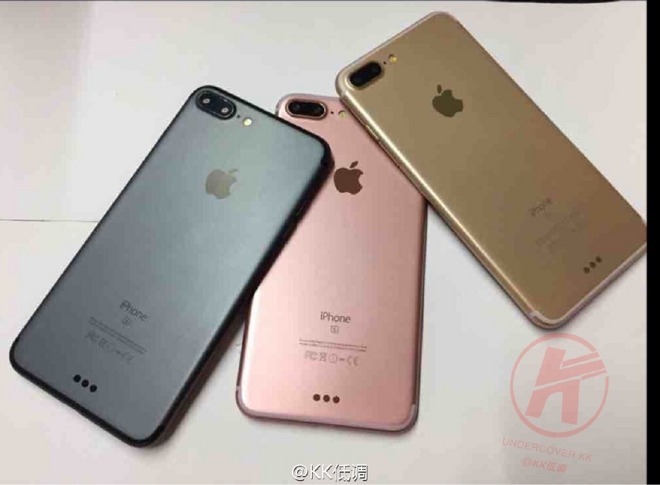 The article cautions that in another image showing a trio of ‘iPhone 7 Plus’ units, each device appears to have spaces for a Smart Connector. 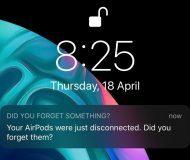 The magnetic attachment could be used for wireless charging or a new first-party case. Another interesting observation: the 5.5-inch dummies with Smart Connectors confusingly feature an “S” engraved below the iPhone branding on the back although the 4.7- and 5.5-inch units simply say “iPhone”. 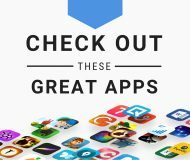 Could Apple release an “iPhone 7”, “iPhone 7 Plus” and “iPhone 7s Plus” simultaneously this year? 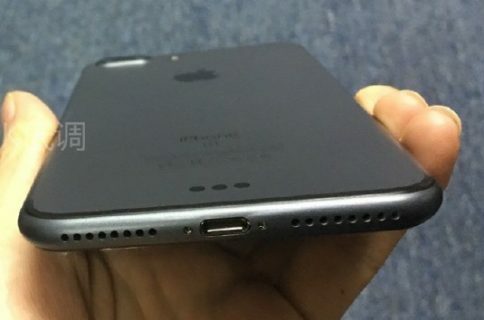 I don’t think so—they’ve reportedly ditched an “iPhone 7 Pro” model earlier in the summer. Besides, such a move would result in a heck of user confusion. I think these pictures definitely show dummy units. I can safely conclude this based on prior leaks, no video accompanying the post and the fact that the devices pictured on the photos are not turned on. Regardless, the pics give us a good indication of what the rumored Space Black finish might look like applied to the iPhone 7’s refined design. By the way, Apple last used Space Black finish for the iPhone 5 in 2012.